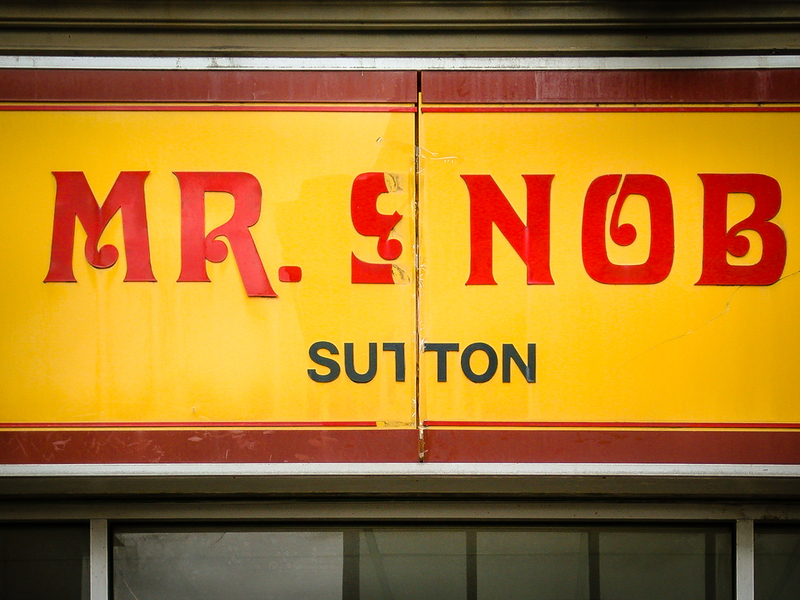 Mr. Snob (Sutton), 224 High Street, Sutton, Surrey, 2002 • This branch has now gone, but there’s still one in Banstead, which I featured here. 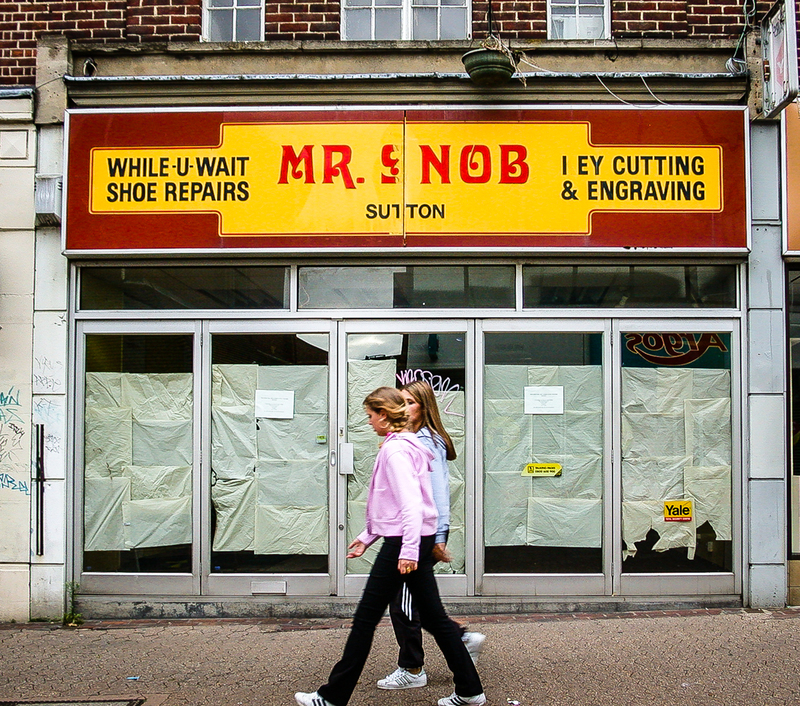 According to their website, the chain was founded in 1971 by Ron Morgan ( a 3rd generation shoe repairer). The name comes from a superior type of olden-days cobbler called a snob, who was given first choice of materials.